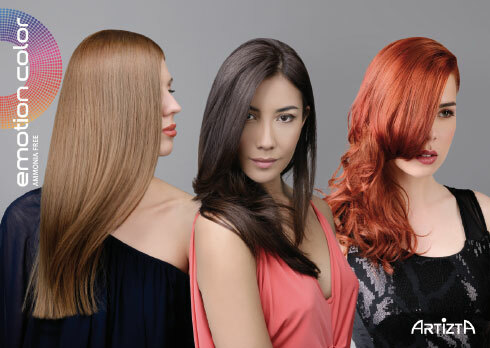 ARTIZTA is the newest hair color cream especially designed to satisfy every coloring necessity. Its formulation is based on natural ingredients which have a very deep conditioning effect. Its exclusive formula also grants shiny results, uncompromising color intensity, condition and coverage. ARTIZTA hair color cream is enriched with wheat proteins, a unique ingredient capable of nourishing the hair during the color service. Perfect results are granted by the exclusive and precious coloring molecules that, thanks to their reduced size, integrate perfectly with the hairs’ natural inner keratin structure and with the hairs’ natural pigments. What do women want from permanent colour? Meet your customer's needs with emotion color!